'High Rise' stars Tom Hiddleston and is the adaptation of the novel with the same name by J G Ballard. It follows Dr Robert Laing who moves into a London high rise tower block. 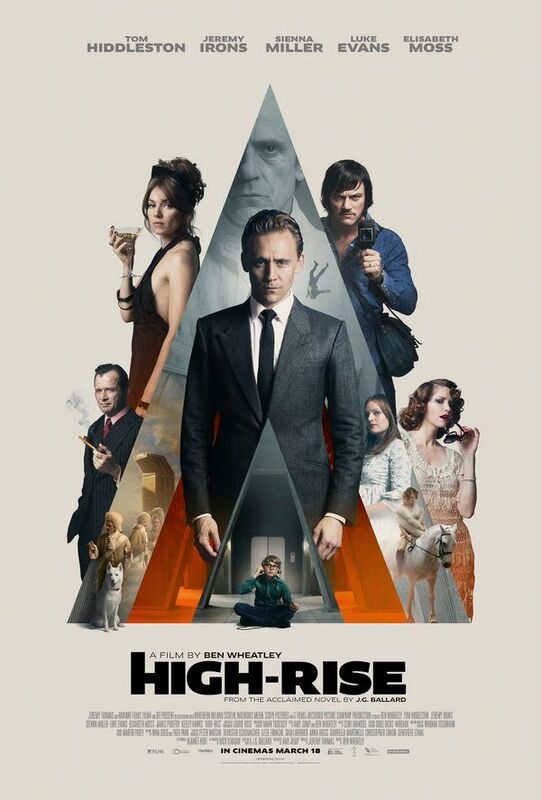 The high rise is a community in its own created by the architect Anthony Royal (Jeremy Irons).However soon after he moves in, class warfare becomes a problem and anarchy then ensues. Over the last few weeks the advert for 'High Rise' has constantly been playing. I thoroughly enjoyed the trailers which made me very excited to see the finished article. If you haven't seen the trailer, I highly recommend you do, it is highly fascinating and will surely draw you to wanting to see it. However it's safe to say that I was quite disappointed by 'High Rise'. The movie came nowhere near to my expectations. I felt that this movie was a mess. So much was going on all at once at some points and it was difficult to keep up with everything all at once. The film moves onto so many different things and you just can't keep up with everything all at once. It is also hard to tell what happening is in reality or if its fantasy. The film certainly is very surreal but maybe a bit too surreal for its own good. As there is a lot of different things going on in the film, there really isn't a lot of explanation to many things. There's a lot of times where actions happen and you're like "Huh?" and then there really isn't a follow up at all. There isn't even really an explanation to why everyone is so confined to doing mainly everything inside this high rise. They leave for work but that's it. Everything else they do within the tower block away from the rest of society. A lot of things that go on are most certainly odd and would really of been more effective had their been more context to them. The visuals in 'High Rise' are phenomenal to say the least. The visuals are sure to catch your attention and will make sure that you continue to pay attention although it may be hard for you to keep up with what is actually going on. The editing in this film is also pretty fantastic. Keep an eye out for the scene where someone falls from the high rise. A beautifully edited and very effective piece of film making. Tom Hiddleston is also fantastic in this film. At first, he is just settling in and isn't really aware of the total bizarreness that he will soon become a part of. You can slowly see his character Dr Robert Laing become more and more a part of the madness until he just lets loose entirely. He only sees the strangeness at first but as he soon grows to become friends to the tenants such as Richard Wilder (Luke Evans) and even closer with the likes of Charlotte Melville (Sienna Miller), he only gets drawn further into the chaos. At times he is kind of a bridge between the two classes that are within the high rise. Due to being close with the likes of Wilder, he interacts a lot with the more common people or the riff raff. However he is always invited to socialise with the others in the upper floors as well as being a guest of the architect many times. 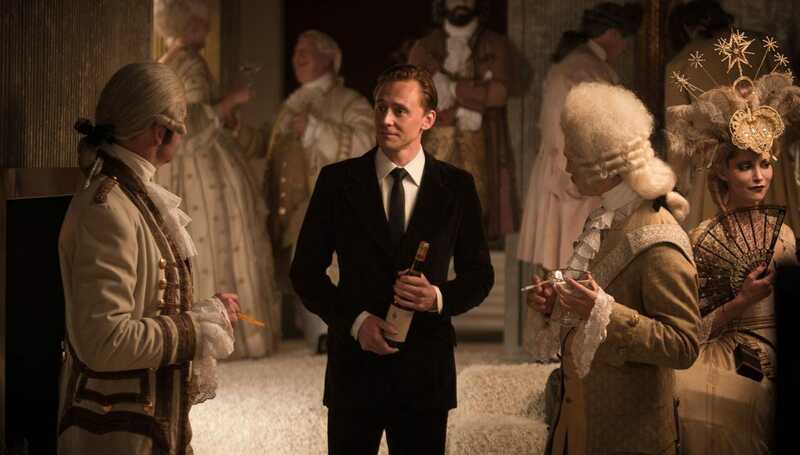 Hiddleston excels in this role and shows the great talents that he has. 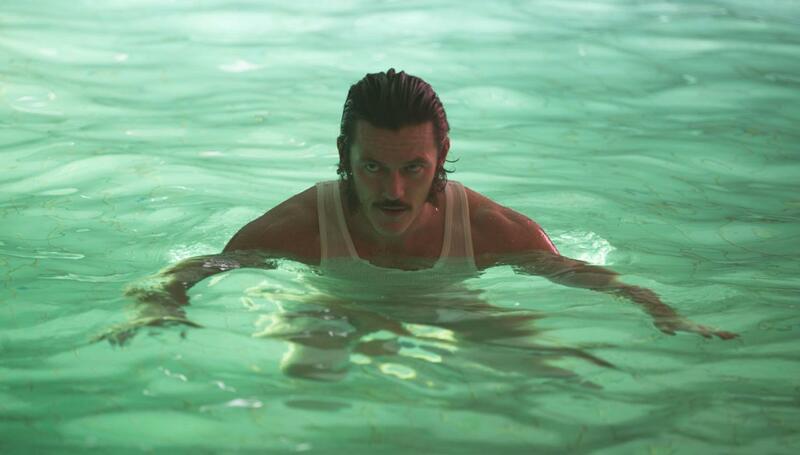 I also thoroughly enjoyed the performance of Luke Evans in this film as documentary film maker Richard Wilder. He kind of leads the brigade from the lower floors demanding change from the top floors. I won't ever get sick of hearing him shout 'Where's the sirens?' which I've heard so many times in the last month. His character was particularly interesting. Elizabeth Moss was also great as a bored and what seemed like a single mother a lot of the time. She did very well to draw sympathy as you see her not fully enjoying herself or is really happy at all with life in the high rise. A good contrast to Hiddlestons character who is sort of obsessed with the life in the high rise. However due to their being a lot of different characters in this film, there wasn't really enough time to completely dive into the characters and learn more about them. Jeremy Irons was also pretty good as the architect Anthony Royal but I feel his character is one of many who could've done with a bit more focus on. Same goes for Melville's son. I feel he was definitely underused and could've been an interesting character to experience all that was going on especially since he really is the pinnacle of innocence. You'll also find yourself forgetting about several characters until they reappear again. As there are so many, there isn't really an equal amount of screen time. A combination of this and the characters not being overly interesting or memorable make some characters very forgettable. The film does show how if you force people to live their lives a certain way with little opportunity to progress, it will not work out. The lower levels are expected to be content with life in the high rise with no opportunity or a fair share of the power. The film does show a good job of how many people wouldn't just settle for what they are being forced to live under. The tension between the classes is shown very well throughout the film as you can see them becoming more and more irritated with each other. This is mainly led by Richard Wilder who takes most of the issues into his own hands and is kind of the main focal point for the lower levels in the high rise. I went into this movie really wanting to love it but the film is a big mess at times. Strong performances from the cast and some very nice scenes indeed. However overall, the chaos got in the way of a cohesive and understandable movie. Maybe after another watch the film will become clearer. So have you seen High Rise? If so what did you think of it? Once again thank you for reading, it is much appreciated!